Earth from the International Space Station. questions and compare them with reality. academics,” said Hans, a bow to the practical value of modern demographic knowledge. result world population will continue rising but not at the steep rate predicted three or four decades ago. 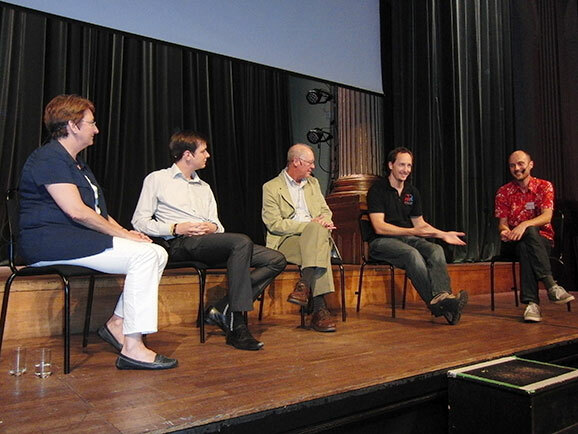 Dr. Christine de Jong (The Netherlands), Michael "Marsh" Marshall (U.K.), Kendrick Frazier (U.S.), Shane Greenup (Australia), and moderator and conference chairman Martin Rundkvist (Sweden) at panel on journalism and critical thinking at 15th European Skeptics Congress, Stockholm. Photo credit: Olle Kjellin. creating some illusions. “So now you won’t be fooled,” he added wryly. He then performed them again, and fooled everyone again. to be an effective strategy. rebuttals to extraordinary claims. Skeptics can establish a link from any web page making a claim to the rebuttals of their choice. airline safety, that have now been widely adopted and save lives. these people out of business. Sophia, where critical thinking is an official skill to be acquired by students. 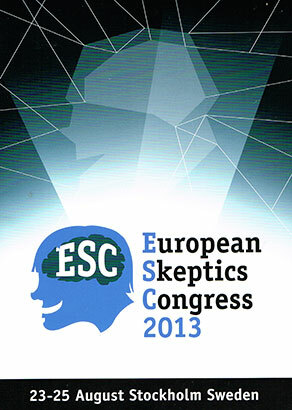 Values of Skeptical Inquiry” (to be published in the November/December 2013 Skeptical Inquirer). Prize in science-based skepticism or a distinguished skeptic makes it onto some nation’s currency, that will just have to do.